구혜선이 두 번째 장편영화 연출작인 ‘복숭아 나무’로 벨기에 브뤼셀 열린 제 31회 브뤼셀국제판타스틱영화제(이하 BIFFF)을 찾았다. 구혜선의 ‘복숭아 나무’는 BIFFF에서 경쟁부분인 ‘7번째 궤도(7th Orbit)’에 후보로 올랐다. 아쉽게 수상은 하지 못했으나 단순 초청작이 아닌 경쟁부분에 진출했다는 점에서 남다른 의미를 지닌다. BIFFF는 매년 4월 개최되는 대표적인 판타지 영화제로 스페인의 시체스국제판타스틱영화제, 포르투갈의 판타스포르토-오포르토국제영화제와 함께 세계 3대 국제판타스틱영화로 꼽힌다. 이번 영화제는 지난 4월2일부터 13일까지 벨기에 브뤼셀의 팔레 데 보자르(PALAIS DES BEAUX ARTS)에서 개최됐으며, 구혜선은 직접 영화제를 참석해 현지 미디어로부터 높은 관심을 받았다. 구혜선은 앞서 단편 연출작 ‘유쾌한 도우미’를 통해 부산 아시아 단편영화제 관객상과 일본 쇼츠쇼츠국제단편영화제 화제상을 수상한데 이어 ‘요술’로는 ‘제23회 도쿄국제영화제 아시아영화상’에 노미네이트 되는 등 해외에서 주목받고 있다. ‘Peach Tree’ was nominated in the competition section ‘7th Orbit’ at BIFFF. She didn’t win to her regret, but it’s meaningful enough because of being nominated in the competition section not an invited movie simply. BIFFF is a representative fantasy film festival which is held every April. It’s considered as one of the three major international fantastic film festivals with Sitges International Film Festival of Spain and Fantasporto-Oporto International Film Festival of Portugal. This film festival was held at Palais Des Beaux Arts from April 2 to 13. She attended in person and attracted local media’s attention. She won an audience award at Busan Asian Short Film Festival and a topic award at Short Film Festival & Asia with ‘The Cheerful Helper’. 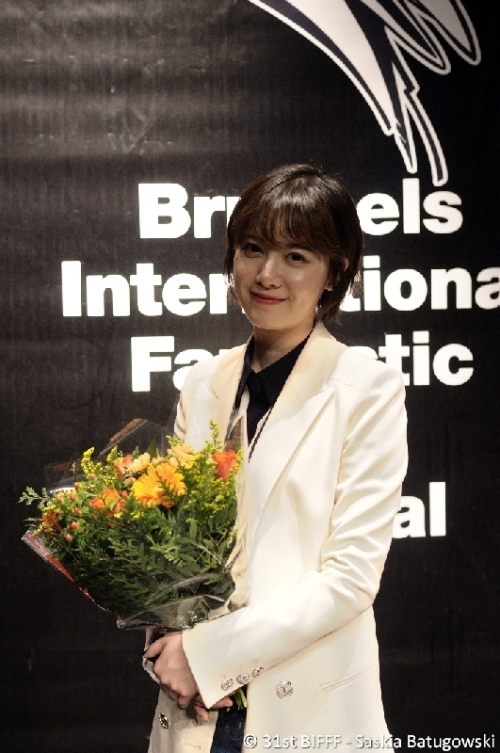 She was nominated at 23rd Tokyo International Film Festival with ‘Magic’.